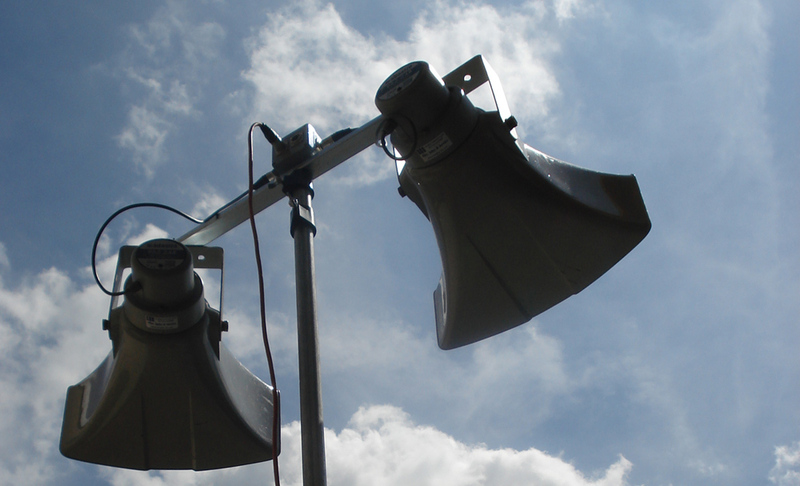 LSL have been supplying PA systems for use outside for many years. We provide smaller systems designed for you to collect, setup and manage yourself as well as larger systems that we typically manage for you. Our outdoor equipment is weather proof to save worrying about keeping it covered up and our PA horns are designed to produce long throws for maximum coverage. Our larger systems are capable of covering acres of land and our wireless microphone systems can cater for roaming commentary across vast distances. Click here to view our smaller packages, or contact us to discuss your specific requirements.